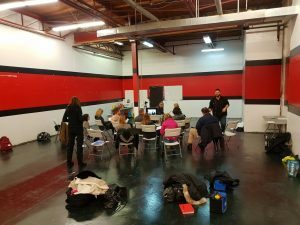 This workshop helps actors engage a set of skills and techniques that they can use in all facets of performance with a focus on Scene Work and Audition Techniques. Script Breakdown Technique: A step-by-step approach to work quickly and efficiently with new text. How to self-tape an audition. Character: Where do you start? Over two, eight hour classes, the actors work on scenes from film and TV scripts cumulating with mock auditions. 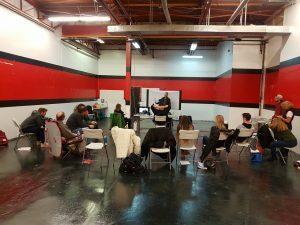 Actors looking to sharpen their skills. 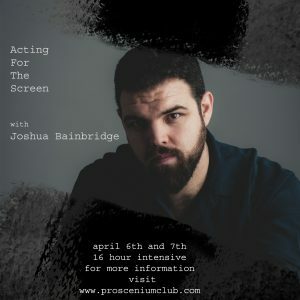 Joshua Bainbridge is an Actor/Director/Producer/Writer who makes his home in North Bay Ontario. He has worked with such actors as Andy Garcia, Forrest Whitaker, Julianne Nicholson, Kim Coats, Colin Mochrie, Patrick McKenna and Brooke Shields. Joshua has been acting, writing and producing original stage works for the last decade including; People Grieving, The Musketeer Trilogy (appearing as Athos in all three parts), Robin Hood: King of the Outlaws (Little John), The Life and Death of John the Milkman (Det. Bradley), Paper Dolls, Poison Ground (Mike Corbin) and I Live With Him Every Day: The Tragedy of David and Dave (Dave). Other notable roles include Mr. White in a stage adaptation of Reservoir Dogs. Ben in The Night of the Living Dead. Edmund in the Watershed Shakespeare Festival Collective (WSFC) production of King Lear and Mercutio in the WSFC production of Romeo and Juliet. Josh recently adapted, directed and played the titular character in Macbeth at The On The Edge Fringe Festival. Winner of two Best in Fringe Awards; Jurors’ Choice and Audience Choice. In winter 2013 Josh’s production of David Mamet’s Glengarry Glen Ross won him the honor of Best Director at the 2014 QUONTA festival as well as winning Best Production. Josh also works in film and television and has appeared in Harold and Lorna, the feature films A Dark Truth, Mums the Word, Joseph and Mary, Country Crush and The New Romantic as well as the television series Dark Rising: Warrior of the Worlds on the Super Channel. 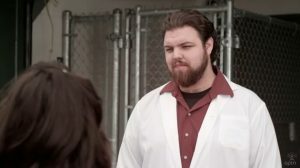 The USA/NBC series Eyewitness, Letterkenny, Cardinal, What Would Sal Do? 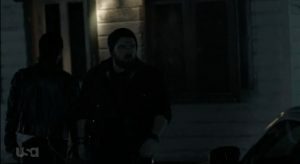 on HBO Canada and the true crime Series Bad Blood on City TV. 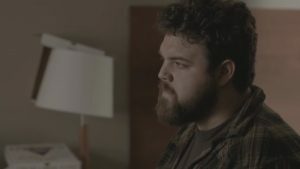 Joshua appeared in the first three seasons of TVO’s Hard Rock Medical as a series regular and will also appear in the upcoming films Tainted and Astonishing Tales of Terror.